I am not much into necklaces and bracelets . For me, accessories mostly consists of a simple pair of earrings and a nice watch. 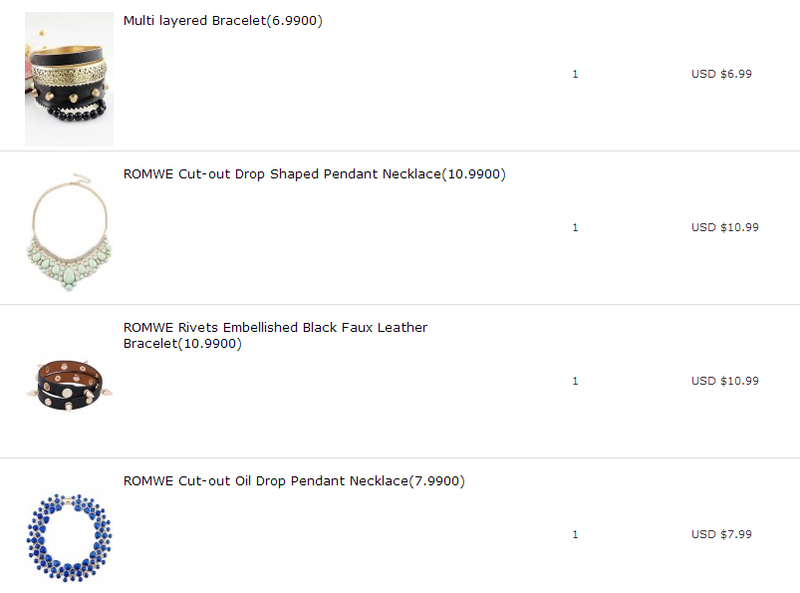 But I could not resist myself from buying these pieces at such affordable price at ROMWE plus free shipping. I have placed orders with romwe many times and have never faced any problem so far, except for my one package which hasn't reached me yet. Anyways, here's the stuff I bought. I am so in love with all the pieces and I am pretty much impressed with the quality as well. Hope you like them as well. Here's how much I paid for them.